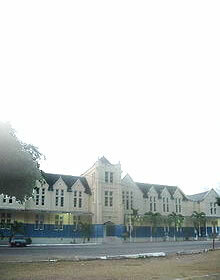 The Church was established in 1824 with 12 members under the care of the missionary Reverend Thomas Burchell (1799 – 1846). Baptist missionaries such as Thomas Burchell, James Phillippo and William Knibb were among those who came from England to support the work already started by George Liele and Moses Baker. Because of their stand against slavery, the Baptists soon became the most popular religious group in Jamaica, gaining large numbers of converts from the enslaved and free black population. 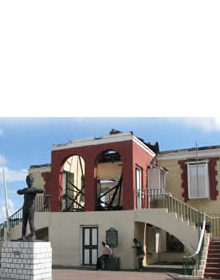 The original church building was destroyed during the 1831 to 1832 Emancipation War, also known as the Baptist War and the Christmas Rebellion. This was the church at which Samuel Sharpe, leader of the Emancipation War, was deacon.Although brutally crushed, the War acted as a catalyst for the passage of the Emancipation Act in 1833. Sharpe was hanged for his role in the War. He was initially buried in the sands near the Montego Bay Harbour, but his bones were later exhumed and reverently reburied in the vault at the Burchell Memorial Church where he had been a deacon. The present church was rebuilt after the War. The cornerstones were laid on February 7, 1835. 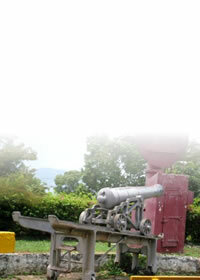 It was completed at a cost of £7000 and was dedicated on March 26, 1837. The building at the corner of King and Market Streets was formerly the manse of the Burchell Baptist Church.